It was a busy week, more so than usual as an ELA Consultant. I presented professional development workshops in four different settings to a variety of educators over the course of four days. 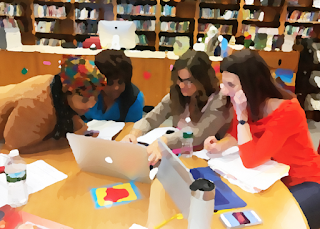 There were full day presentations to a mix of literacy administrators and English teachers and two late afternoon workshops for either special education teachers or reading teachers. After the last presentation, I felt exhausted for I forgot how difficult it is to wake up early and spend long days in classrooms. On the other hand, I felt exhilarated. I honor and celebrate the work that teachers do daily. 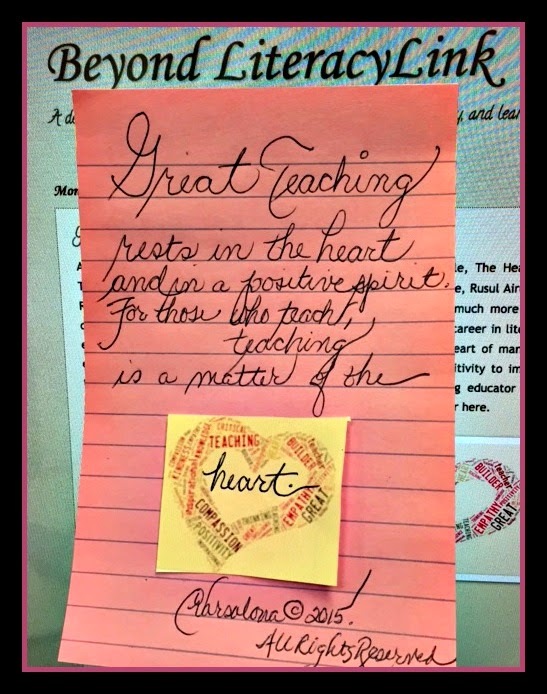 I continue to teach because it is a joyful experience working with teachers who are passionate about impacting children's reading and writing lives. 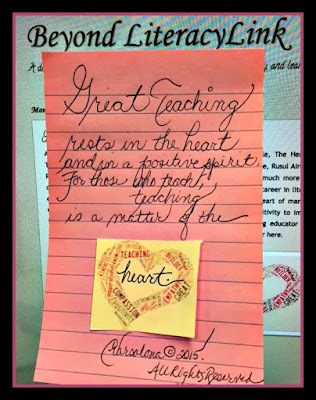 Each weekend, I join Ruth Ayres at her Celebrate This Week blog site to write alongside a group of inspiring educators. The unveiling of my Winter Wonderland Gallery of Artistic Expressions has been delayed by the workload of this week and the computer problems I have had. Stay tuned for the launch. In the meantime, please see the short video poem I created.